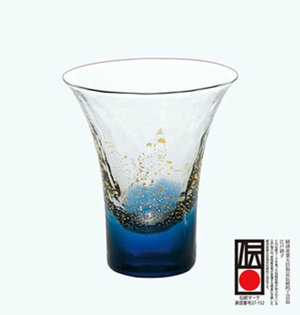 The Yachiyo-Gama Tokkuri was created by the techniques of Edo Glass, a designated Japan Traditional Craft. 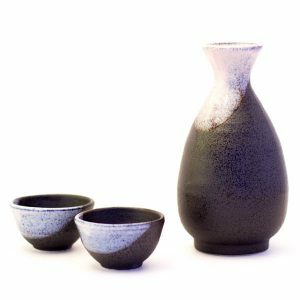 With the highlights of refreshing blue, it can be said this tokkuri is the perfect sake vessel to enjoy cold sake. 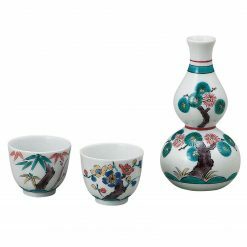 The design brings a sense of coolness, so before savoring the flavors, let your eyes drink in the coolness. 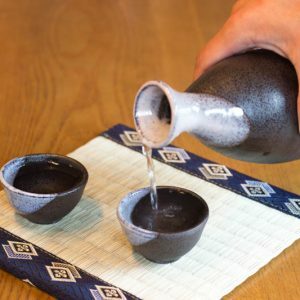 Pouring in some karakuchi, dry, Sake, the temptations of the deliciousness induced by your eyes can be quickly satisfied. 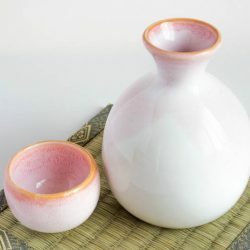 In addition to the material, colors, Japanese tokkuri have the unique characteristic of being less round. 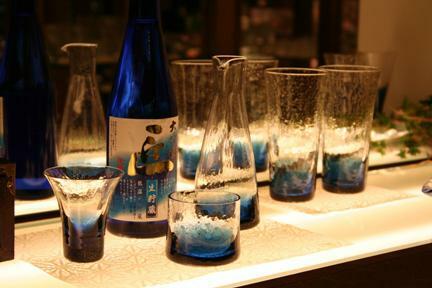 Resembling more of a straight line, the design suggests it is more appropriate for a cold sake than a warm sake. 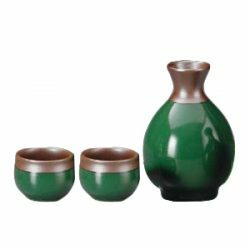 The manufacturing methods of Edo Glass involves wrapping the molten glass around the iron, with the skilled craftsmen forming the shape. 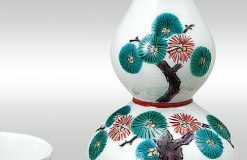 Being created by hand, even if the same series is purchased, neither the design nor the colors of two pieces will be completely the same. 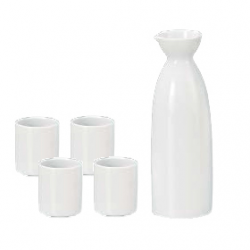 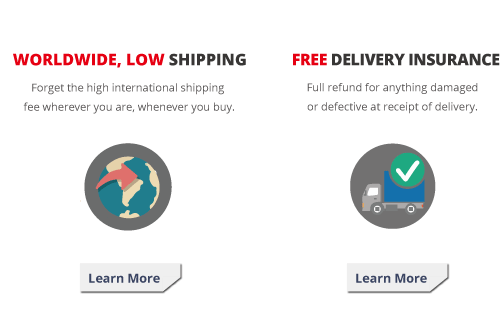 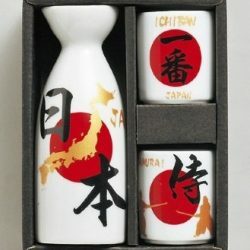 For Sake lovers who want a one of kind-only one sake vessel, we recommend this product. 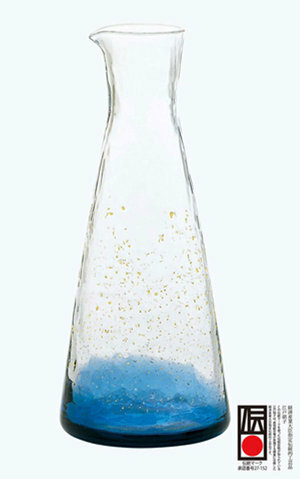 A sense of luxury can be felt from the gradation from the deep blue, the gold specks scattered like stars. 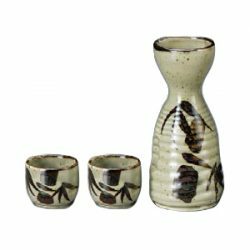 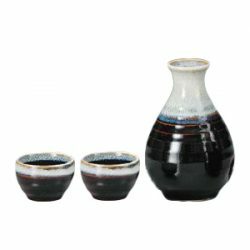 This sake vessel set is a respectable gift item as well. 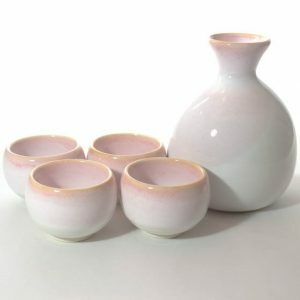 A sake vessel set for a variety of different people. 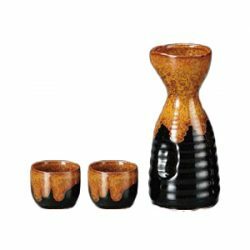 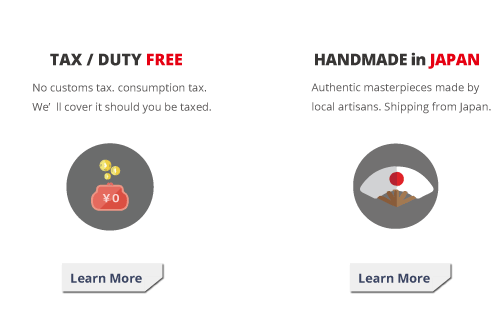 Sake lovers who appreciate Japanese traditional crafts or those who just love beautiful items. 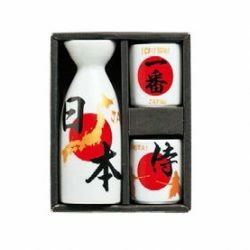 It may also be given to those who you would like to take an interest in Japanese culture. 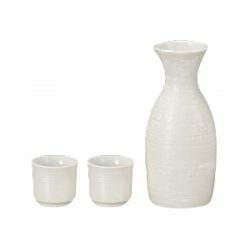 Many options with this sake vessel set.